TAMPA — It began with two engineers and the understanding of a need in the marketplace. During the past four years, Arehna Engineering Inc. has grown from a two-person startup to a 35-person operation based in 9,000-square-foot facilities, and continues to expand. 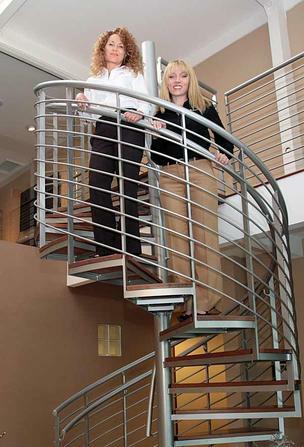 Founders Jessica McRory, president, and Sonia Florence, vice president, met as co-workers at an engineering consulting firm. “We got to know each other and found each other’s strengths and from there it made sense to come together and start a company,” Florence said. They founded Arehna in January 2009. The company provides geotechnical and materials testing services primarily in a sub-consultant role. As a women-owned firm, Arehna qualifies as a Disadvantaged Business Enterprise, which makes it competitive for certain government projects. “We knew it was a benefit that we were both women engineers,” Florence said. The company has also built a staff of seasoned engineers and established a reputation in the local area. This entry was posted on Friday, December 14th, 2012 at 11:07 am	and is filed under In the News. You can follow any responses to this entry through the RSS 2.0 feed. Both comments and pings are currently closed. Copyright © 2019 AREHNA | Engineering, Inc. All Rights Reserved.